Oh, don't you worry your sorry hoomin head. I'll come up with something, just give me a second..., still thinking, OK? Sorry Bud - Hoomins are hard wired to worry. 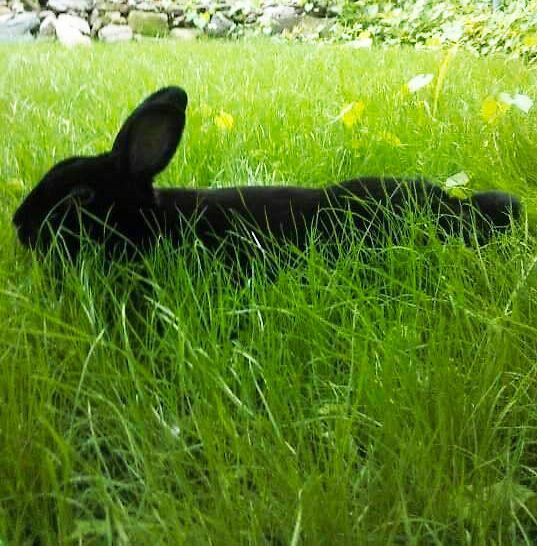 This bunny should be able to relax and look gorgeous in the meadow instead of having to do all the thinking for the family.